In the heart of Turckheim, beautiful cottage, 90m2, can accommodate from 4 to 6 people. In a typical house, half-timbered and exposed beams, classified as historical monuments, listed in various books and having belonged to several chaplains, this charming house and very comfortable is located 2 minutes from small shops (bakery, grocery, pastry etc. ..) and restaurants. The owners of the place will welcome you and will be happy to tell you the story of this original house with its two buildings dating from the 16th and 17th century. 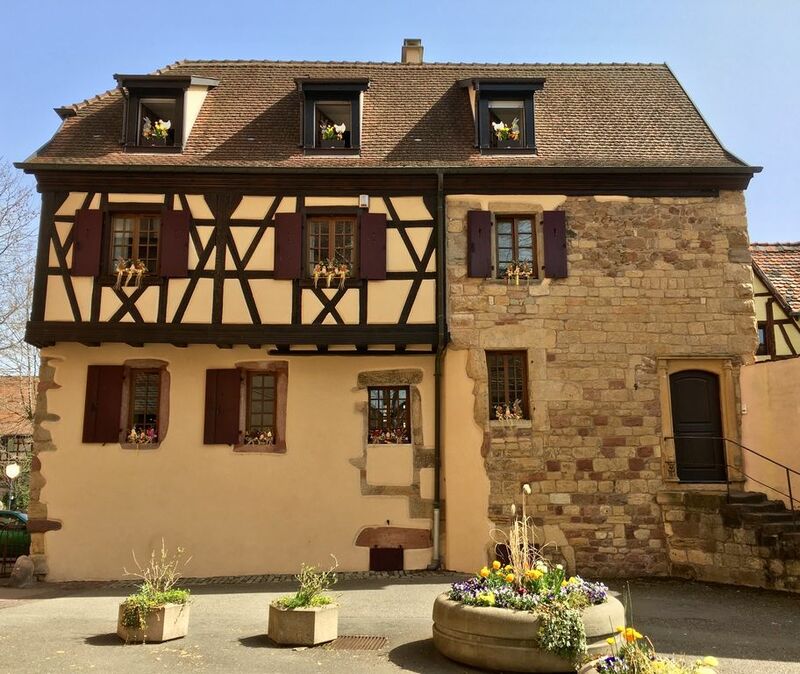 Ideally located to visit both the Alsatian vineyards and the Vosges counters, Turckheim is also 10 minutes from Colmar. You will be able to move with ease thanks to the proximity of the public transport and the train station in 10 mn on foot. Every night you can participate in the night watchman's round dressed in period costume which also stops at the foot of the house. You can park for free at the foot of our house and drop motorcycles or bicycles in our fenced inner courtyard.